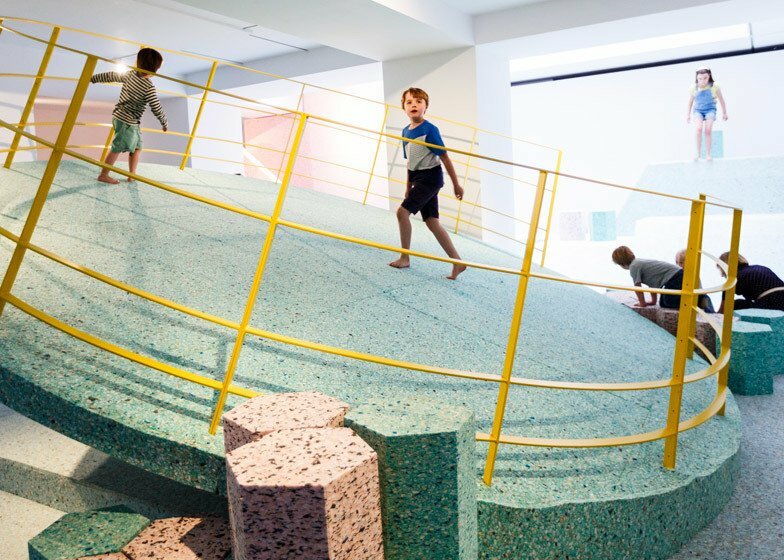 There’s nothing brutal about the interior of this Brutalist-inspired playground in the Royal Institute of British Architects. Pastel foam replaces the cold cement shapes found vintage British Brutalist playgrounds. Its edgy, off-kilt, angles are balanced with the soft hues and materials. Together, this modern Brutalist Playground repackages the stern structures of the past into a sweet and palpable escape.